We all make mistakes. Sometimes, those mistakes end up following us for quite a bit of time after they occur. West Virginia understands this and offers certain individuals the opportunity to clear their criminal history after a certain amount of time has passed. This means that when you go to apply for a job, your history will appear as clean as it was before you made a mistake. At the same time, West Virginia expungement also encompasses people who have been accused of a crime and never convicted. For those people, unless they have previously committed a felony, they are allowed to petition the court to clear their record anytime that 60 days have passed since they were acquitted or the charges were dropped. 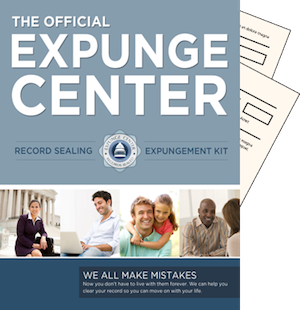 Our expungement kit allows you to expunge record in West Virginia in a very easy to understand, straight-forward process. You simply fill the forms that are included in the kit out and send them to the appropriate place. You can then follow the guide that tells you what the next step in the process will be. As an alternative to hiring a lawyer that will charge you a lot more, the kit is one of best investments that you can make. I was never convicted, can I use the kit? Yes. The kit contains forms that will allow you to petition the court to have your history sealed. After you have been successful, the only people that can ever access your file is yourself or a prosecuting attorney if they are investigating you for a different crime. The files are not destroyed in West Virginia, even if you were not convicted. On the positive side, if anyone asks the court if you have a criminal history, they will say that is no history. I was tried for possession of drugs, can I clear my record? Yes. The kit contains the forms that you need to do so. In West Virginia, if it is your first offense, the court may choose to put you in a diversion program or have you complete a different type of community service without actually finding you guilty if you plead guilty. In this circumstance, they will actually not enter a guilty verdict and you can therefore wait 6 months and then use the kit to petition the court to seal your history. If successful, there will be no indication that you were ever charged, tried, or plead guilty and you can claim on job applications that you do not have a criminal history if that is your only offense. I was convicted of an offense in West Virginia. What types of offense can I use the kit with?